BUMNS has the distinction of being named to the Honor Roll of the National Audubon Society. The pennies, quarters, dimes, nickels and even dollars saved by the children of BUMNS raised $157.29. Each class had a “Pennies for the Planet” can. The children saved coins for a month. The results of their generosity will benefit the following conservation projects: Gulf Coast birds affected by the oil spill, building a habitat for the Monarch Butterflies that migrate to Arizona, and protecting the river rest stops for sandhill cranes in Nebraska. By participating in the “Pennies for the Planet” project, the children learned the importance of protecting our planet and its inhabitants for future generations. Thank you to the children of BUMNS! You will find your noon carpool number in your child’s tote bag today. We will begin carpool lines on Wednesday, September 22. Please make sure that your number is visible as you enter the parking lot. One of our aides will be noting numbers in order as you circle around to the path and they need to see your number clearly. In the beginning carpool lines tend to move a bit more slowly than later in the year. Please be patient with us as we get your little ones from their classrooms and out to you. Stay in the line and wait until the car in front has moved. I promise things will speed up considerably in a very short time. 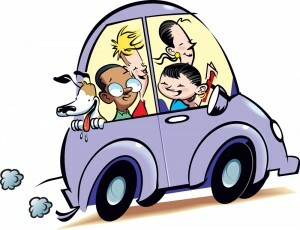 It is still not too late to arrange to be part of a multi-family carpool, so please don’t hesitate to contact us if you decide to join another person or group. Just let us know your plans and we will set up a number for you. The more carpools we have, the faster the whole procedure moves along.